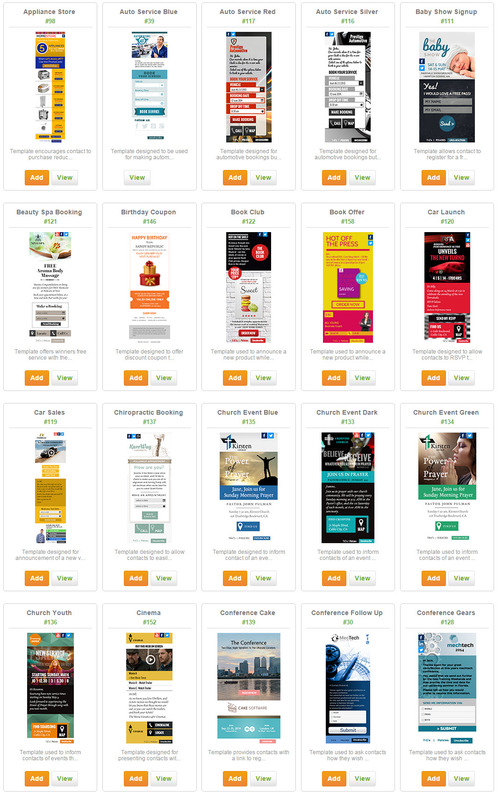 The landing page library is where you can choose from dozens of pre designed landing pages that are ready to use in your own campaigns. Use them as is, customize them further, or us certain elements or them, they are fully customizable in our drag and drop landing page editor. 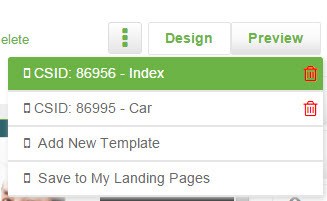 To make a template available to use in one of your campaigns simply click the orange Add button. 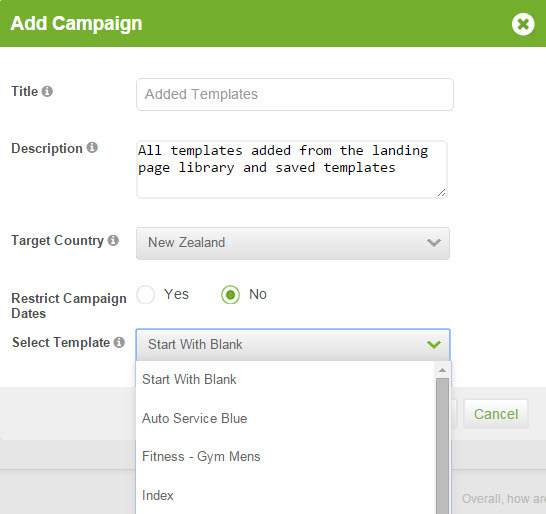 When adding a new campaign, any added templates, will appear in the Select Template drop down. Simply select the template you would like to use and click Save. You template will appear in your Landing Page Editor.